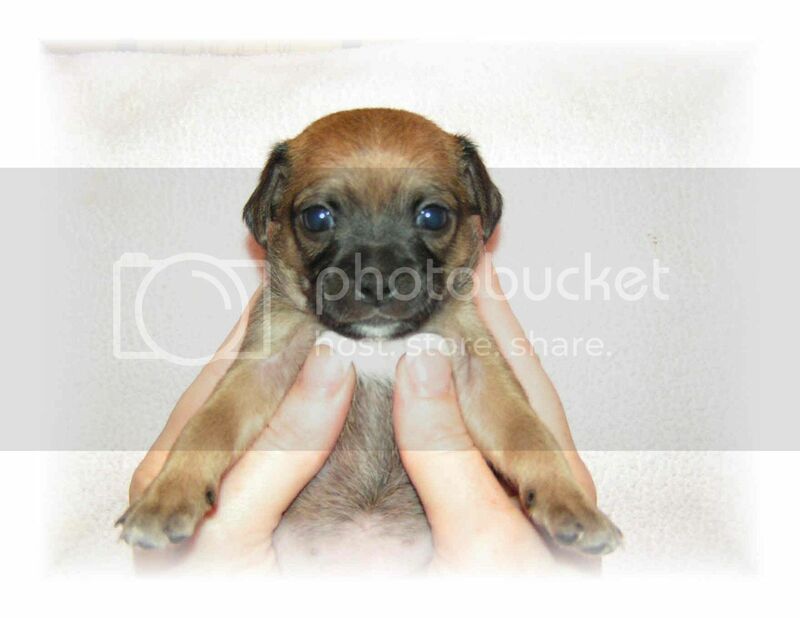 Zoey's Puppy Pictures - FINALLY!!! They are now 3 weeks old. 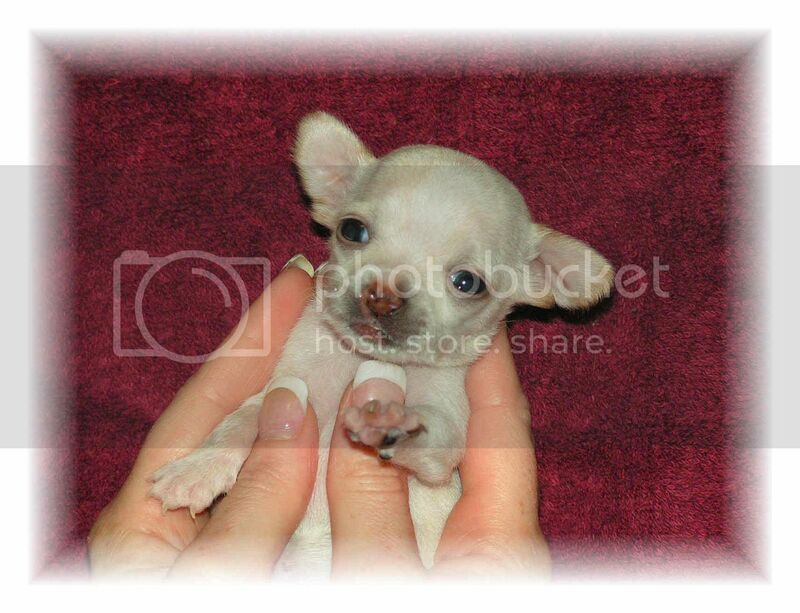 The tiny cream baby is the sweetie with the cleft palate that I am bottle feeding. Ruled by a RED boy! 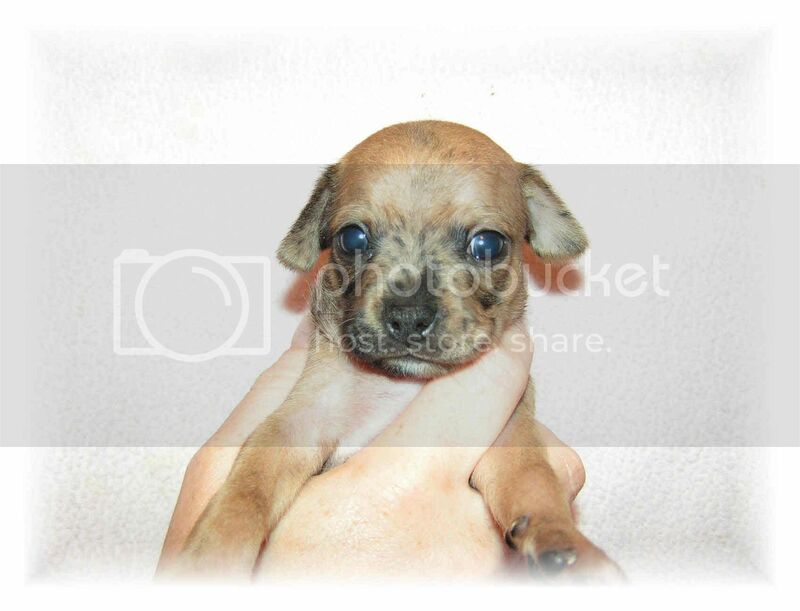 I can't remember, but are the puppies Chihuahuas or mixed? AWWWW could they be any cuter!!! How adorable. I like the 3rd one best. I'm excited they are ok and that the cream one is alive, it was worrisome at the begginning, adorable! 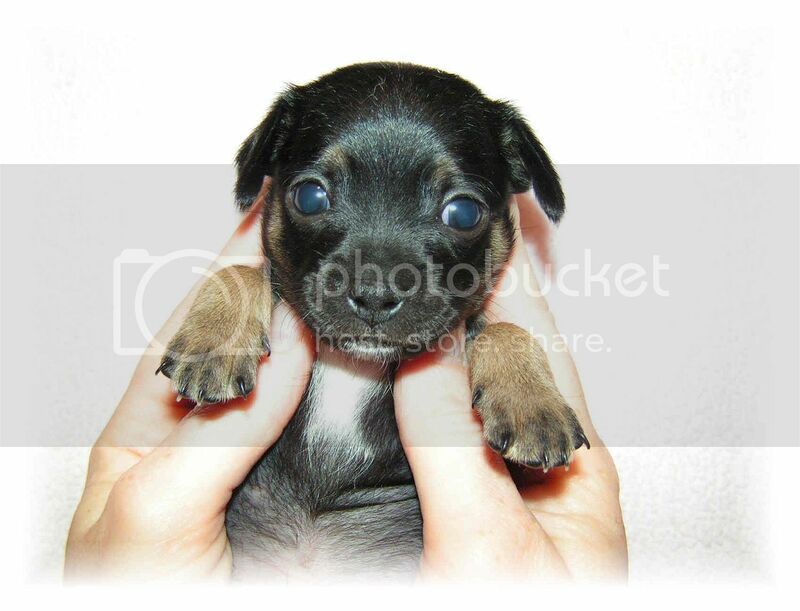 I've never seen Chi puppies that young, so I couldn't tell if that's what they were or not. (I haven't seen very many puppies of any kind that young)! Very cute, though. Absolutely adorable!! AAHHHHHHHHHH!!! I want the Choc Merle! They are all sooooo freaking cute! It hurts me.. but I can't stop looking! That didn't answer my question LOL! How many are you keeping 1 or 2 maybe? Boys or girls? what a good looking little family. I am so happy that everything is turning out well. I vote you get to keep them all lol. I'm glad the cream one is doing well. My favorite is the little brindle with his cute spotty face. Awwww! I had to get them all together. OMG they are gorgeous!!!!! and i always wanted a brindle chi!! !